1. 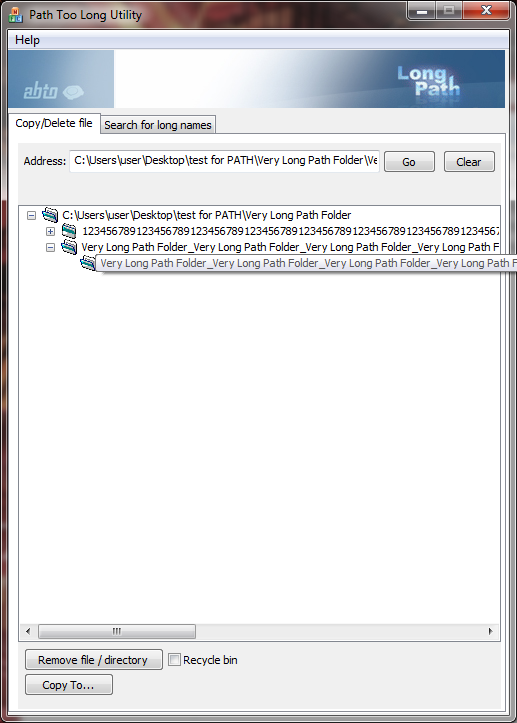 Open programs, Path Too Long or Path Too Long PRO and enter serial number. 2. Find the file that you need copy or delete than use ‘Go’ to access specific folder or use ‘Clean’ to clean address string. 3. 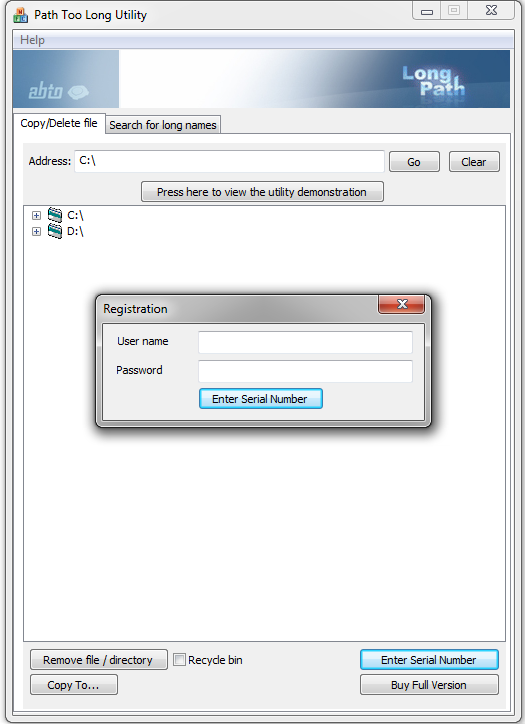 Remove file or copy to the folder that you need. 4. 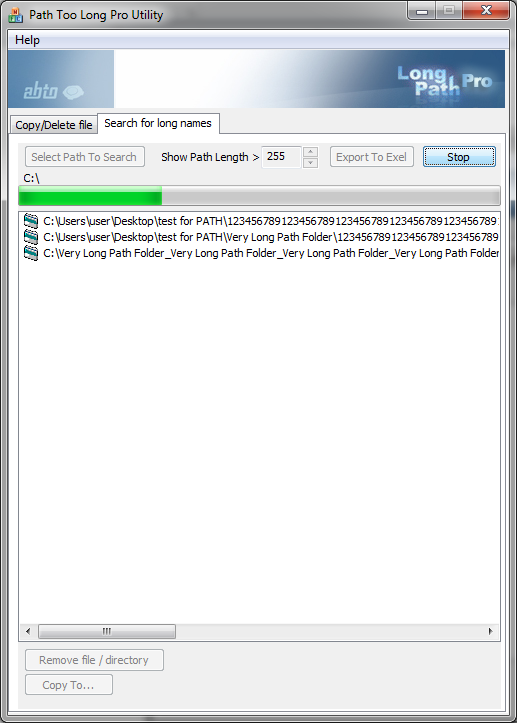 You can search file with long names in specific folder using button “Select Path To Search” or in general using “Search” to choose path length that you need. 5. You can export file address to Excel document, when you using Path Too Long PRO or export to .txt document when you using Path Too Long.